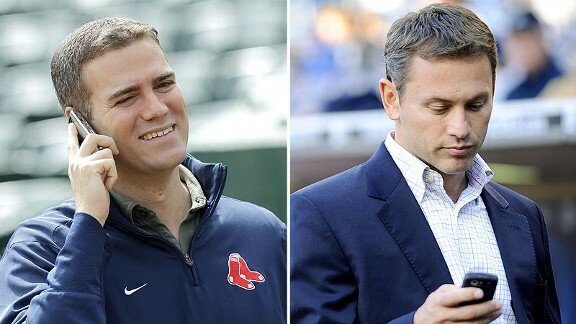 With the Chicago Cubs’ recent signing of Theo Epstein, it’s very likely that the Chicago Cubs will win a World Series by 2015. How did Theo do it with the Boston Red Sox? Answer: Read the book “Moneyball” and you will see how. Basically, he did what Billy Beane did: he exploited less desirable, more accurate statistics like on-base percentage, slugging percentage, and OPS (On-base plus Slugging). Sabermetrics, as Bill James calls it. While more teams are doing this (look at the Texas Rangers and St. Louis Cardinals in the World Series), teams like the New York Yankees still pay for home runs when those really don’t matter as much when winning games – Home Runs only sell tickets and earn immediate cash. Also, there is now an American team in Florida, the Tampa Bay Rays. The “team in Miami,” the Florida Marlins, are in the National League and therefore cannot meet with the Cubs in the World Series. Still, considering that all these predictions were made in the 1980’s is pretty freaky. That said, it’s likely that Theo Epstein will take that mentality to Chicago where he will find the cheapest yet most effective players. Watch out, yet another prophecy of Back to the Future II is about to come true!